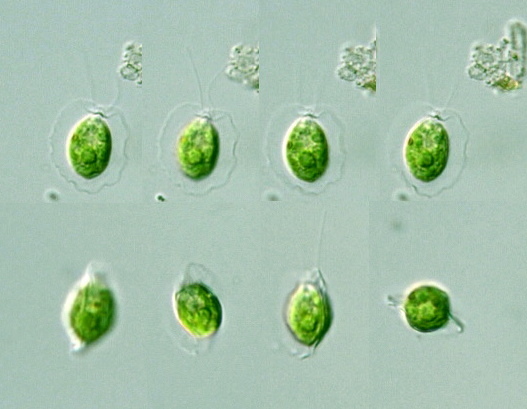 A green flagellate with a shell is actively moving around. But when it stands still, we notice its rough surface. After a while, it swings its two flagella and rotates its whole body as it leaves our view. This organism may belong to genus Lobomonas.